I love playing games online. Actually... I just love playing games. (online games, FaceBook games, downloaded PC/Mac games/Wii games) I also love playing the slot machines when we get to a casino (like on a cruise ship or in Atlantic City). 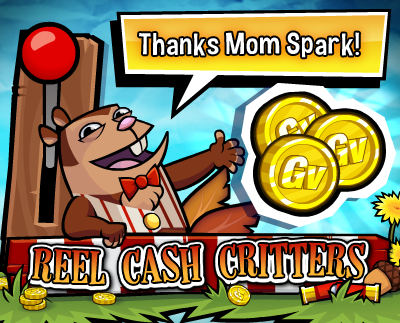 So when Momspark asked if there was anyone interested in trying out Reel Cash Critters on Gamesville I jumped at the chance. Reel Cash Critters is not your typical slots game. To play, you wager your GVs (Gamesville’s virtual currency that you win by playing games) and spin. You can win cash prizes from $5-$10, obviously a great part of the game! 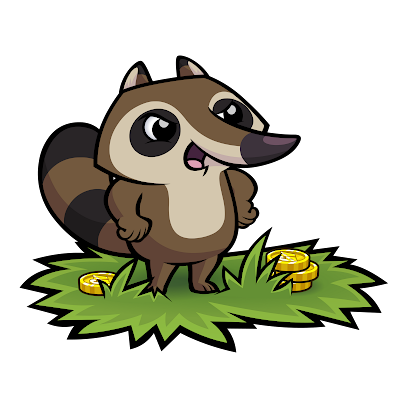 What makes the game unique are the mini games and critters – who doesn’t love cute woodland creatures?Within the game, you can hit the “Spin-o-Matic” which is a dial that you spin and depending on the critter that you land on, you get an extra GV bonus. If you are a Gold member you get another game on top of the Spin-o-Matic. “Reel Slots Shots” is a county fair-style shooting gallery where you can win GVs. Ducks, rabbits, and even our mascot Poke pop up for your chance to hit. The more you get, the more GVs you win. Finally, the favorite part of this slots game is the team battle aspect. 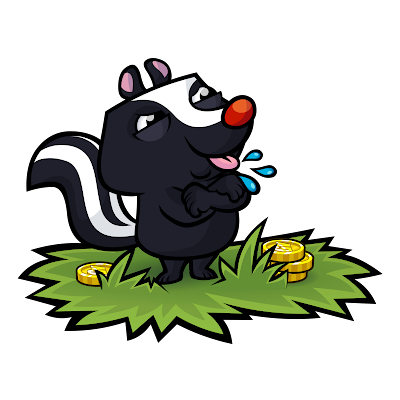 At the beginning of your game, you get put on either the Skunk Team or the Raccoon Team. When the team battle starts, you can choose to go to the room where the battle is happening or choose to skip it. After everyone is dispersed to their teams, you try to spin your machine as many times as possible to win the most GVs. You play with your team and the team with the highest total amount of GVs wins. There are 6 battles throughout the day, and 2 of them give out cash prizes. Since everyone is a winner at Gamesville, for the cash prize games, one member of the winning team and one member of the losing team are selected to win the cash prize. RCC isn’t the only game that pays you money on Gamesville. Some of the jackpots for the various games can reach up to $10,000!Plus, if you’re a Gold member, the Jackpot is doubled. If you play Reel Cash Critters, be sure to play other games like Frantic Fish or Super Chef to boost up your GVs. Did I love Reel Cash Critters? No, not really. It was fun for a little while. But really... while sitting at a desk how many times can you just click and watch the reels spin? A casino atmosphere definitely makes the slots more enjoyable for me. I had my GVs up pretty high... and was able to make big bets per spin (which always makes the wins higher). Of course when my wins are high my losses are also high so those GVs never lasted (EXACTLY like the real casino slots!!!). I liked the little mini-games but didn't think those came up often enough. I will admit I never actually got into one of the "battles" described above. I'm not sure if they're at specific times of day... or if you have to do something special to get in. So, I'll say that maybe I'd enjoy it more with the team play aspect. I'll have to see if I can get in on that feature. As for Gamesville... I do like the site. I found much more enjoyment in the non-slot games. They have a nice variety including versions of solitaire, bingo, word games, games shows, puzzle games, and downloadable games. Frantic Fish is probably my favorite (it's kind of a twist on Bingo). Gamesville offers free games (although the ads can get annoying) or paid membership. With a Gold Membership you lose the ads that pop up during play intermissions... and you get some added features in the games. You also win 2x the jackpots (if you win). My name on Gamesville is amadisonmom. Look for me in the little chatrooms if you come play! If you sign up to play on Gamesville through one of the Gamesville links here in my post you will get 10,000 free GVs added to your new account! Check out Gamesville on Twitter and Facebook! Disclosure: This review was made possible by Mom Spark Media. Thoughts are my own. I received a Gamesville Gold Membership and compensation for my time investment and work on this campaign.